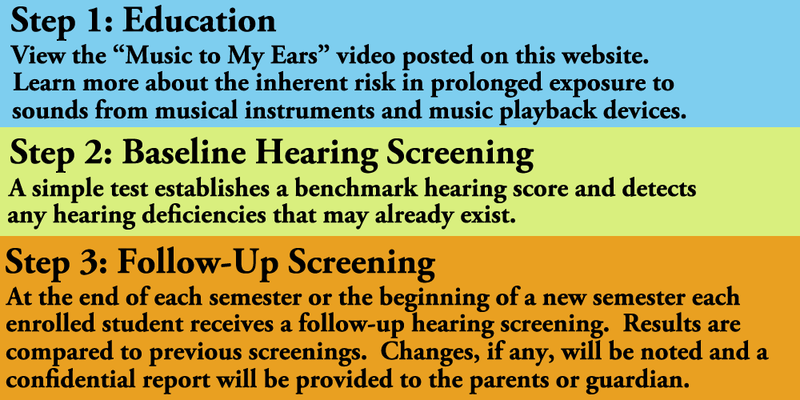 YOUR MUSIC STUDENTS ARE VULNERABLE TO HEARING LOSS. HELP PROTECT THEM THROUGH OUR EXCLUSIVE DETECTION AND PREVENTION PROGRAM. As an Educator, you share every parent’s or guardian’s concern for their child’s well being. It’s Indisputable, a music education can contribute to childhood hearing loss. Students in a school band or orchestra, or who take individual or group lessons, can be exposed to noise levels potentially damaging to their hearing. 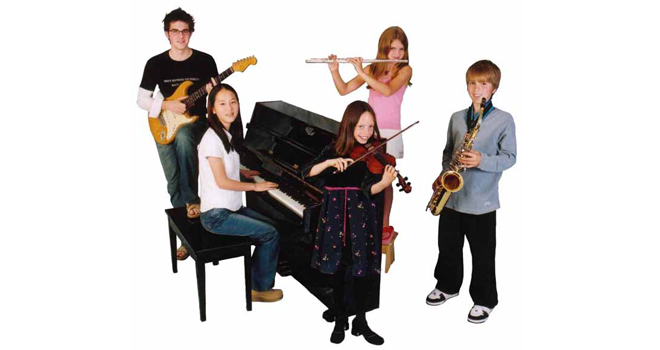 ENCOURAGE THE ENROLLMENT OF YOUR MUSIC STUDENTS IN OUR “MUSIC TO MY EARS” PROGRAM. IT’S ALL ABOUT HEARING LOSS PREVENTION. The “Music to My Ears” program follows a student from enrollment through their senior year in high school, all covered under a one-time, nominal enrollment fee. No student will be denied entry into the program for financial reasons.